I read this book earlier this year and knew it would be the one to offer for the Best of 2013! Thanks to Bookhounds and I Am a Reader, Not a Writer for hosting! If life hadn't needed attending to, I would have read this book straight through! It caught my attention right away and had such fantastic characters that I so wanted to find out how it ended. Being a mom with 6 kids though, and having to actually make meals for them, prevented me from going straight through in one sitting, though I did try! Firstly the setting was gorgeous, and so well displayed with words that you felt like you were there. You could easily see Lisa's vision for the town to grow and be what she knew it could be for those around her. The intrigue of Fire Mountain and the opal mine added that treasure hunting element to it. I absolutely loved the rich family history and legacy that it had in it. Lisa was a super strong woman, yet so humble and patient. Her dedication to freedom and her dream was going on 6 years of planning. She was the polar opposite of her husband. He was a psychiatrist who really needed to see a psychiatrist! He was prideful, selfish, haughty, and abusive. Cheryl really got us to the point of hating this husband for his mistreatment of Lisa. Oh but the end is gold!! I can't tell much, this book would be easy to write a review that gives away too many of the secrets. Honestly this book snuck up on me and grabbed me. I was contacted by the author to read it and the summary sounded interesting. I was actually surprised at how wonderful the book was! This is one of my top favorites of the year. It had just the right amount of mystery, suspense, discord, family legacy, and God in it! 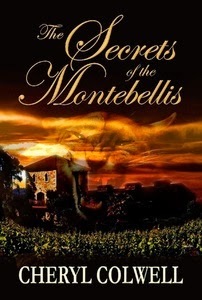 Enter to win a copy of The Secrets of the Montebellis! 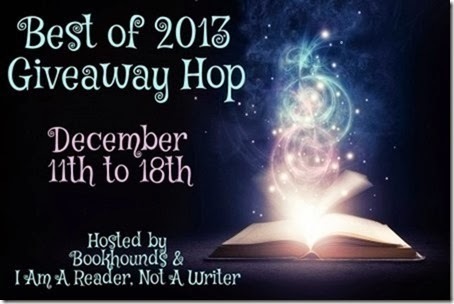 Be sure to hop around to the 200 other links to win other Best of 2013 books!